If you live in the Kalamazoo area, water issues are no surprise to you. Residents in the area are turning to basement waterproofing to protect their homes and families. With an investment as large as your home, investment in basement waterproofing can save you thousands of dollars in costly repairs. 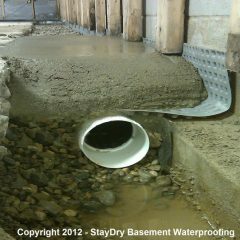 At StayDry we understand the importance of a job done right, as the #1 basement waterproofing company in the industry we have thousands of satisfied customers. 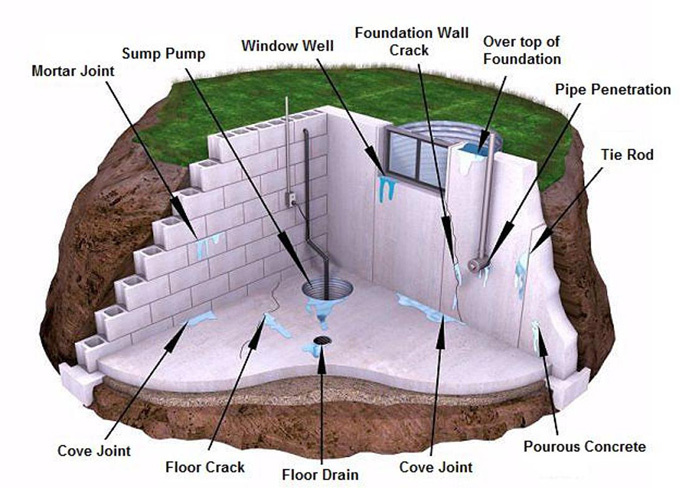 We provide: interior and exterior basement waterproofing, sump pumps, crack repair, mold control and many other services to protect and/or repair your home. Call our Kalamazoo office at 1-800-STAY-DRY today for your obligation-free consultation! 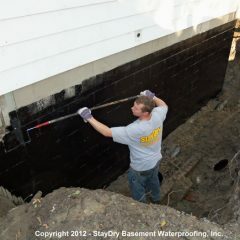 Basement waterproofing in Michigan is an important task to take on. Our proximity to the Great Lakes brings a lot of precipitation year-round. While our gardens may love this moisture, our basements surely do not. With a host of environmental and health dangers associated with flooded basements, it is especially important to have a waterproofed basement in Kalamazoo, Michigan. With Lake Michigan less than an hour away, Kalamazoo feels the lake effect greatly all year-round. Summers are hot and wet, while winters are cold and snowy. In fact, Kalamazoo gets, on average, nearly 33 inches of precipitation every year in less than 150 days of rain or snow! This immense amount of precipitation can have adverse effects on your home or basement. Flooding is one of the main causes of home damage in Michigan and since Kalamazoo sits relatively close to sea level, protecting your Kalamazoo basement is an investment that will surely pay off. 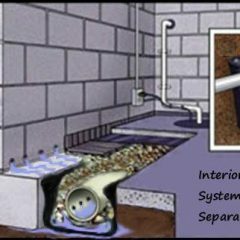 French Drain Systems: French drain systems are pipes laid beneath the ground that help to move water away from the home. 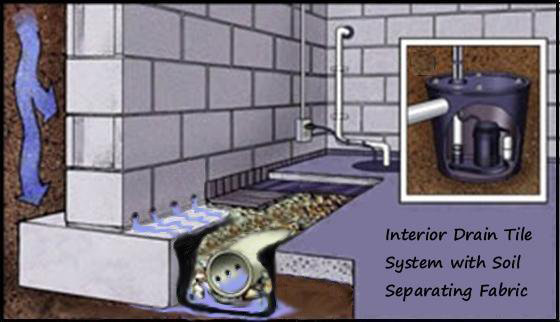 Sump Pump Installation: The most advantageous part of a sump pump is its ability to funnel water away from the home after it has entered the basement. 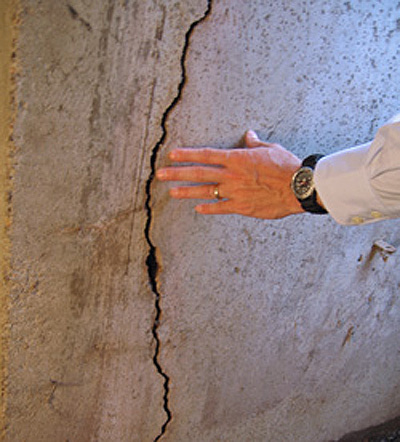 Crack Injection Repair: Foundation cracks are a great way for water to seep into the home. 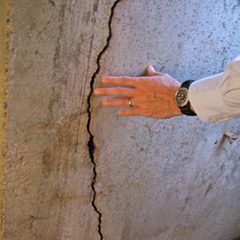 Our crack injection method can repair these cracks and prevent more water from entering the home. 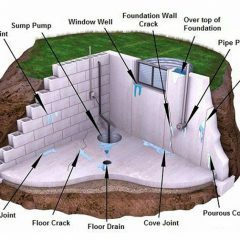 Exterior Basement Wall Repair: While this is our most expensive and invasive waterproofing method, it is also the most effective. Just moved into a 1923 home with history of water in the basement. More concerning is the basement smell. Water pooling on the outside of the house and leaking into basement. Severe basement flooding after recent rain. Coming in through two large holes, but I think it’s probably coming from other places, too. Those familiar with Michigan know that the spring and summers can be soggy. Excess water from the snowmelt sinks into the soil and creates a high water table that can result in flooded basements. Water and mold inside your home not only diminishes its value, it can cause respiratory problems. Your home is outside 100% percent of the time. It is subject to elements such as heat, rain, and water. Spending the necessary time and money to protect your home from the elements will save you money and effort in the long run. It is much easier to prevent floods than repair the aftermath of one. At StayDry, we understand the importance of preserving the security of your home. If you have moved into a new home, or you are unsure of any potential leak sources in your basement, call a StayDry professional for an obligation-free consultation. We are a family owned business, and we value long-term relationships with our customers. Because of this, we only send honest professionals to evaluate the prevention or repairs necessary to restore your home. 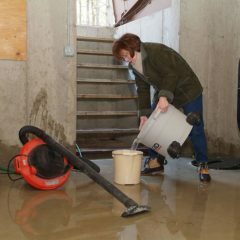 If you are unsure of how to prevent your basement from flooding, read below to find out about common basement problems and how to fix them. Foundation settling is normal. If your walls are cracked or your window and doors are hard to open, it means your house is settling. Settling foundations create cracks that water can move through. Vertical cracks are easy to fix, but horizontal cracks are indicators of structural failure. For large or small wall cracks, StayDry offers a premium sealant. We don’t believe in cutting corners. Competitors will use low-pressure injection that will only partially repair the problem. Low-quality sealants don’t last, and water soon will be back in your house. When it comes to basement waterproofing, residents of Kalamazoo deserve the best. Call the StayDry hotline for quality service at 800-800-7073, and an expert will fill your cracks with our high-pressure polyurethane sealant. Old foundations that have experienced water damage are subject to wall bowing and bulging. When a foundation settles, it can cause the walls to crack. This does not always mean the structural integrity of your home is compromised. Cracks need to be filled, but they do not always indicate serious problems. However, calling a StayDry representative is a sure way to know if your walls are in good condition. If the hydrostatic pressure around your home has caused your walls to bow, StayDry has an affordable solution. Our wall straightening consists of steel bar reinforcement and concrete molding. Steel bars will prevent the walls from moving and causing additional damage. We also offer carbon fiber Kevlar straps to customers who want to fortify their walls without the need for outside excavation. Again, the aforementioned climate can present numerous issues to your home in Kalamazoo. 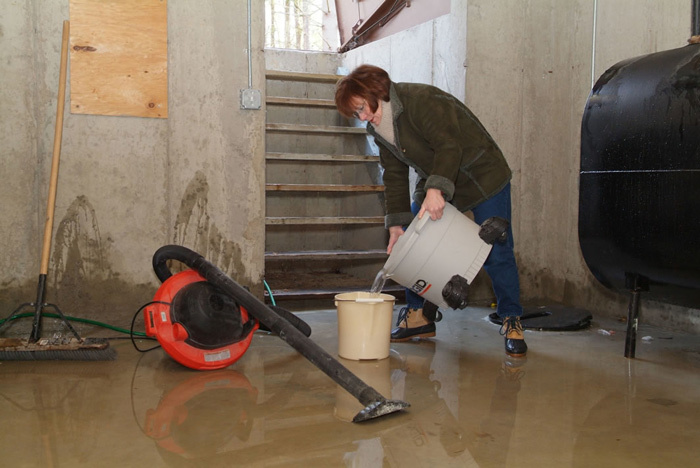 Basement floods are not uncommon and they bring with them a list of dangers. Water entry often leads to damaged possessions as well as mold growth, which can have quite the negative affects on your health. Moreover, basement floods can compromise the structural integrity of your home and leave it at risk for further damage and even collapse. Clearly, it’s best to prevent these issues and have your home waterproofed. 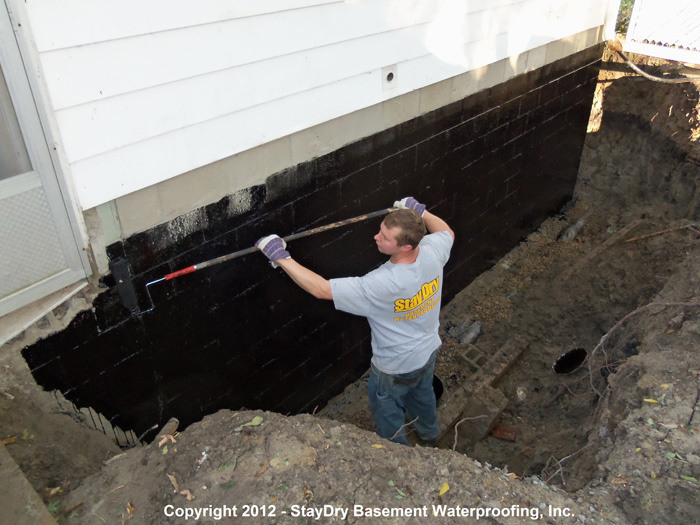 If your Kalamazoo home has not been waterproofed, the StayDry heroes can help. We offer our basement waterproofing services to everyone in the greater Kalamazoo area to help prevent water damage. You can contact us here or call us at 800-800-7073 for a free quote. With the water table higher than ever this year, I called on Stay dry to help me stay dry this spring and they did a amazing job with their system that does work wonders. I recommend them for anyone having serious or minor water issues. 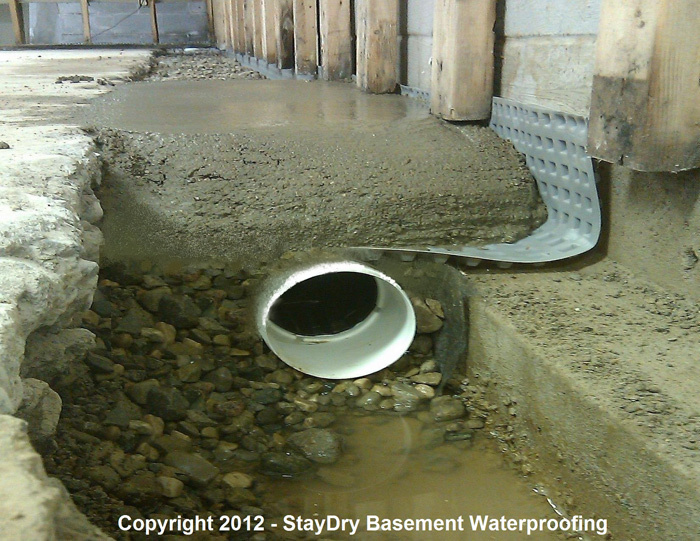 Our basement is now saved and StayDry® has done an exceptional job treating us and our home with respect and care.